The company grew by $700 million to achieve $5.8 billion in sales in 2014, making it larger than every pizza brand in the country, according to QSR magazine. Chick-fil-A is now the eighth-largest fast-food chain in the US by sales, and it generates more revenue per restaurant than any other chain nationally, according to QSR. 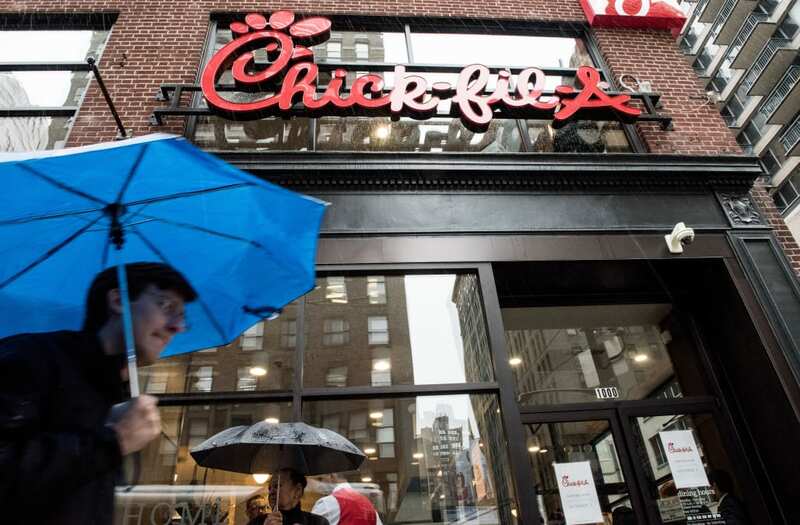 In spite of its success, Chick-fil-A charges franchisees only $10,000 to open a new restaurant, and it doesn't require candidates to meet a threshold for net worth or liquid assets, the company told Business Insider. "The barrier to entry for being a franchisee is never going to be money," Hannah said. "We seek to find the very best business partners who find great joy in making other peoples' days. They do so with a combination of great business acumen, an entrepreneurial spirit, and a passion for serving others."